The FHIR Check tool is used for validating instances of FHIR resources against FHIR profiles. This version of the tool expects all files to be local on the file system. The ‘Examples Directory’ is the location of where the instances to be validated are located. Currently, these need to be XML files. (Should we add JSON as well?). 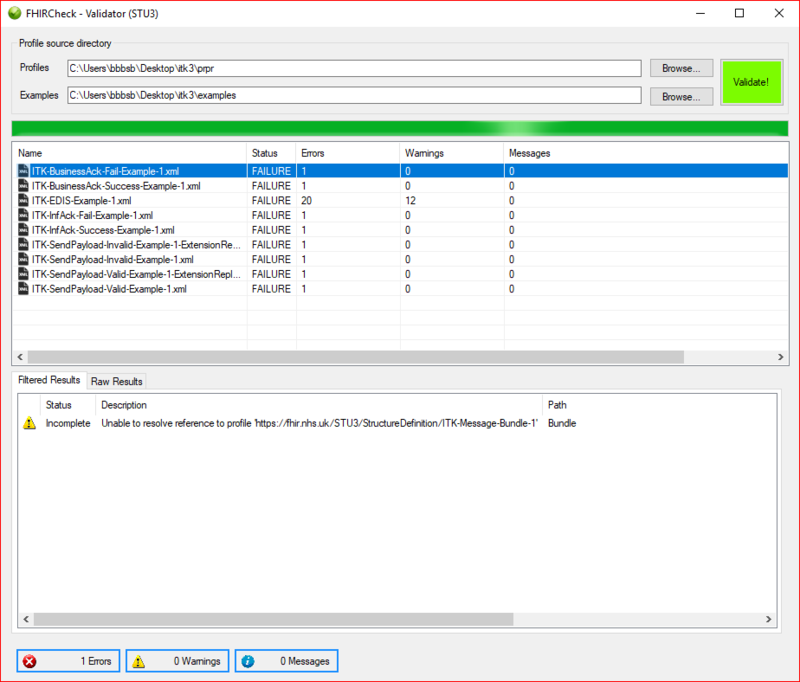 The files to be validated are shown in the list with a status of “Waiting”. Once the “Validate” button has been clicked the results of the validation are shown next to the filenames. By selecting the row for the particular file of interest the detailed results of the validation are shown at the bottom of the window. Alignment to new version of the STU3 library and a number of minor user interface changes.